The Zend Framework 2 has evolved from the Zend Framework 1 project, which had been used for the development of 15 million sites. The developers of the platform took into account some errors of the previous version and made some improvements to optimize the process of creating the site. Despite the active use of the framework, it also has weak points. For example, the optimization of image size is one of them. Compression of images in all versions of the Zend Framework requires third-party solutions. And site owners face the necessity of such optimization very often. The image reduction plug-in for the Zend Framework is called OptiPic. The solution uses its own algorithms, which allow reducing the disk space occupied by the pictures and accelerating the loading of the site. Image compression in the Zend Framework runs in the background and does not interfere with the maintenance or filling of the site. The images that are already available on the site are processed along withthe newly downloaded ones. The image reduction plugin in Zend Framework accelerates the loading of the site pages. In addition, OptiPic allows you to increase free disk space. When compressing images in the Zend Framework using the presented solution, the minimum processor and memory resources are used. With OptiPic image compression in the Zend Framework will no longer be a problem. How can optimizing images for Zend Framework speed up a site? 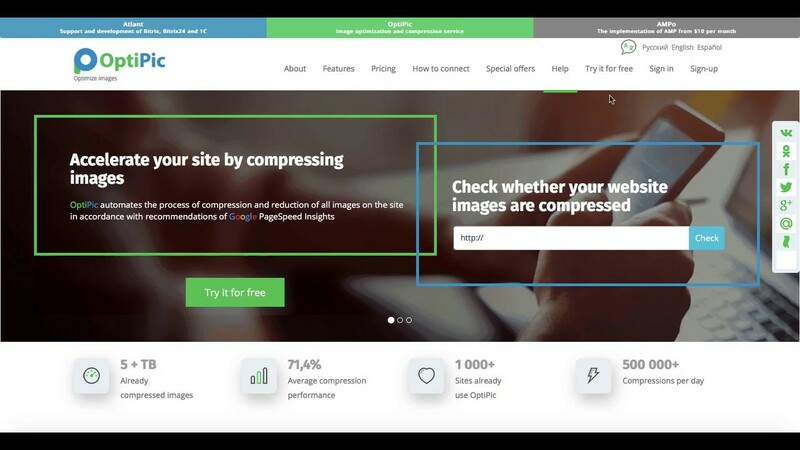 How to get started with OptiPic service for Zend Framework for image compression?